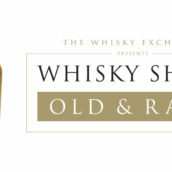 This year’s Whisky Show has been a rather busy time for us. Not only did we have a show to put on (it went very well, thank you for asking – our writeup of the weekend is over here) but we also had a bunch of bottling projects coming to a head at the same time. Tim teased us with a few details a couple of weeks back, but I’ve had the pleasure of trying them all again since the show and can reveal a bit more about them. 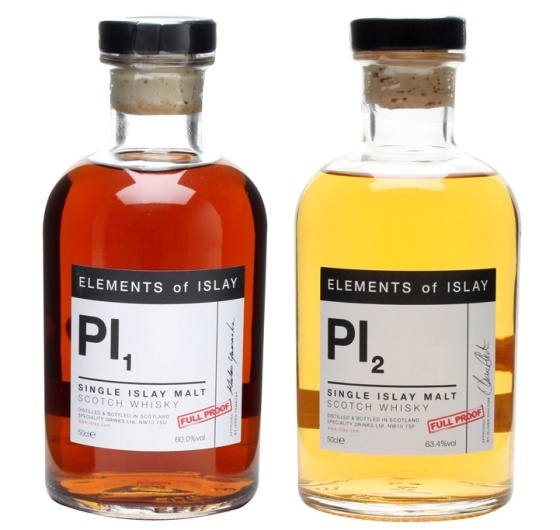 Firstly: The new releases from the Elements of Islay. I touted an unmarked bottle of the Pl2 around Maltstock this year and got some excellent feedback – generally along the lines of ‘That’s a <name redacted> isn’t it?’ and ‘I don’t know what it is, but I want some’, which was quite encouraging. It was also one of the hits at the Whisky Show, which is one of the reasons why it now joins the ranks of the dearly departed. Nose: Werthers Originals, soured cream, milk bottle sweets, gummi fruit and big estery notes. Palate: A big hit of smoke on the front of the palate, with sweet-cured bacon, apples and boiled sweets coming in behind. Comment: A bit more towards what you might expect from this ‘distillery’, but with lots of sweetness along with the big smoky punch. Nose: Buttery, with apples and flapjacks, fruit yoghurt and strong woodsmoke. Develops leafy, barky notes. Palate: Very sweet initially, than a massive blast of coalsmoke and hot spices. Hints of oysters, oil and wet sand lurking behind. Water soothes the smoke and lifts the sweetness and minerality. Finish: Warming. A slow fade, with spices, pepper and grilled, buttered legumes, almost like a mezcal. Comment: Not devastatingly complex but great fun nonetheless, and swims really well. Augurs well for the future, I can’t wait to see how this spirit will be at twenty or thirty years old. Palate: Ferns, earth and tingly menthol, backed up liquorice, green leaves and gentle woody spice. Touches of brine and rock pools. Finish: Lingering minerality, with sour wood, ham and sweet apple. Comment: A much darker flavoured whisky than its colour suggests, with spice and rich sweetness. Nose: A strikingly full nose of sweet cereal bars and singed wet turf, developing prominent medicine cabinet aromas of bandages and liniments. 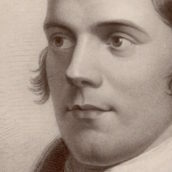 The phenols get heavier, with the emphasis on smoke rather than peat. Palate: Very sweet attack initially, then a huge surge of turfy, ashy smoke and a backdraft of TCP. Much bigger than expected. Finish: Sweet and smoky, with a mildly eucalyptic edge. Fennel and phenols. Late-arriving salt. Comment: Unexpectedly big. Not difficult to see why the owners of this distillery prefer to hang on to their stocks. Nose: Sweet, with honeydew melon, grassy meadows, straw and floral hints. Palate: Sweet wood, honey, flower petals, hazelnut brittle, cinnamon and chocolate touches. Finish: Warming spice, orange peel and hints of clove. Comment: This fulfils the brief – grassy and sweet with some underlying spice and nuttiness. It also takes a drop of water well, bringing out more melon and honey. Nose: Wonderfully grassy, with very clean, light honey and barley sugar. Develops on hay and hints of clove, dried bark and raisin. Picks up some melon and kiwi with water. Palate: Sweet, but with a nice little bite of salt. The oak comes in mid-palate, adding spice to proceedings. Finish: Warming and dry at full strength, with brine and a spicy tingle. Comment: Lovely balance of salt and sweet – best with a small drop of water. Nose: Fragrant wood smoke with a peaty tang, floral hints and meadow grass. Butter and milk chocolate buttons. Palate: Coal dust and wood ash, with lemons, sugar syrup, stroopwaffel, salted caramel and brine. Finish: Floral touches with lingering wood smoke and polished wood. Comment: A light hint of the more traditionally floral tones found in older releases from this distillery, paired with all of the intensity and sea spray of some of their recently lauded bottlings. Nose: Perhaps not as obviously uber-fruity as Bw1, but there’s still some nice hints of melon and peach, alongside sugared almonds, autumn leaves, bandages and woody ash. Finish: A nice fruity saltiness with lingering wet turf and wet cut grass. Comment: This beguiling combination of fruit and peat is absoutely classic for the distillery. Water does nothing for it, in my opinion – this one is best exactly as it comes. Palate: More smoke than peat, with astringent wood smoke and coal dust, mixed with green wood and flashes of dried fruit. Finish: Warming and smokey, with lots of minerality and green leaves. Comment: A focus on smoky flavours with a nice backbone of fruit to stop it being to austere – one for the refill sherry fans. Nose: Seaweed and swimming pools, with wet bark, brown bread and toasted raisiny malt loaf behind. Palate: Big, warm, sweet and sooty, with hints of raisins and lots of dusty, turfy, earthy flavours. A medicinal note of iodine and bandages in the background and a thread of honey throughout. Remarkably, a drop of water releases brown sugar and faint hints of some rather toothsome tropical fruit. Finish: Very long. Iodine, the famous tarry rope and some Fisherman’s Friends. A lovely dry cinnamon note towards the death. Comment: This is just my sort of thing. Marvellous. Nose: Cedar wood and glacé cherries, sponge cake and hot leather. Dried fruit, earthy peat and dark dry sherry. Palate: Initially dry and woody with big dried fruit sweetness bursting through. Sweet liquorice touches, blackcurrant jam and woody spice. Finish: Rich earth, tannic red fruit and lingering smoked bacon touches. Comment: Big, dark, rich and packed full of smoke and muddy peat. A bit of a monster, even with a few drops of water to take the edge off. Nose: Big and rich, with treacle, dark gingerbread, recently-extinguished bonfire, dead leaves, raisin fudge, muesli, some seaweed and medicine cabinet aromas in the background. There’s a lot going on here. Palate: Strong raisin flavours off the bat; then some sweet smoke. Very manageable at full strength. Raisin syrup, nougat, malt loaf, sugared almonds, smoke, cinnamon, clove. Finish: Sweet, warm, fading coal and wet peat, with a spicy touch. Comment: I wish I could reveal the cask makeup of this vatting. I know how odious it is to blow one’s own trumpet, but I’m very happy with how it turned out. All in all, an excellent bunch of releases, even if I am at least subconsciously biased, and some great additions to the Elements range. 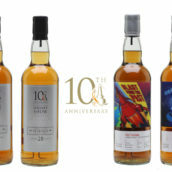 You can find all of the whiskies from the series (along with some t-shirts) that still have available on the Whisky Exchange website – The Elements of Islay.